Looks like due to high profile use and constant questions by users. 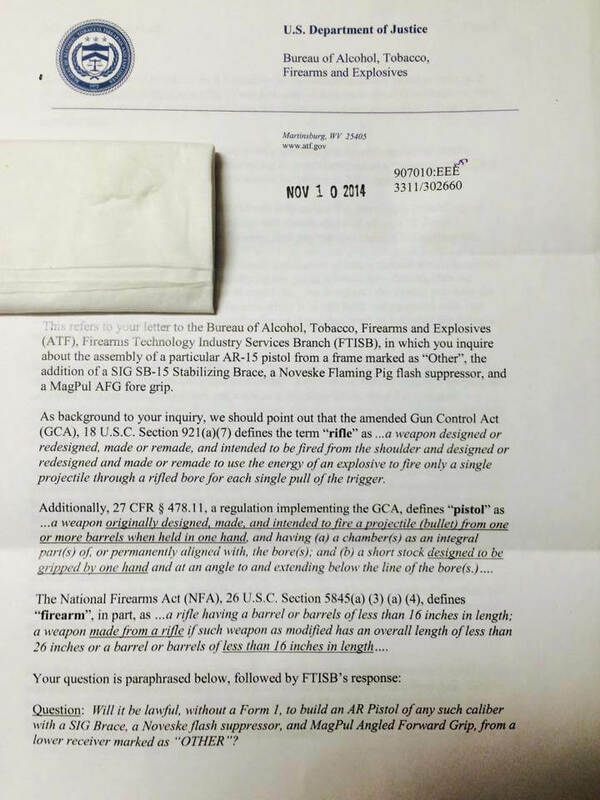 The ATF has changes its mind/policy/ whatever, on the legal use of the popular SIG brace for AR15 pistols. Ostensibly for use by putting your firing arm through the “brace” to more easily hold the AR pistols with one hand. Many have been using it as a legal way to have something very close to a SBR. 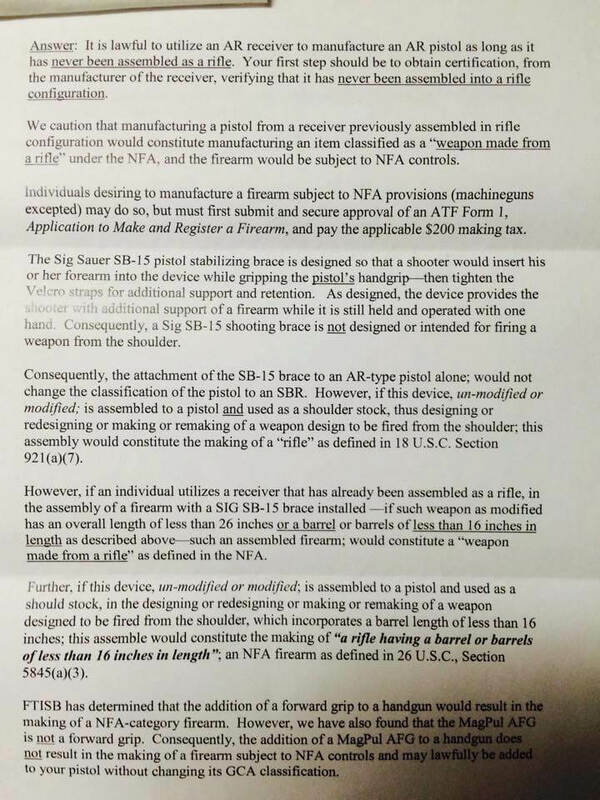 due to an earlier opinion letter from the ATF that it did not make the part illegal if fired in a way other than it was intended, i.e. arm brace. This now seriously calls into question the further use and popularity of the SIG Brace, I am sure for many, if you can not use it on the shoulder, few will care for it much longer. 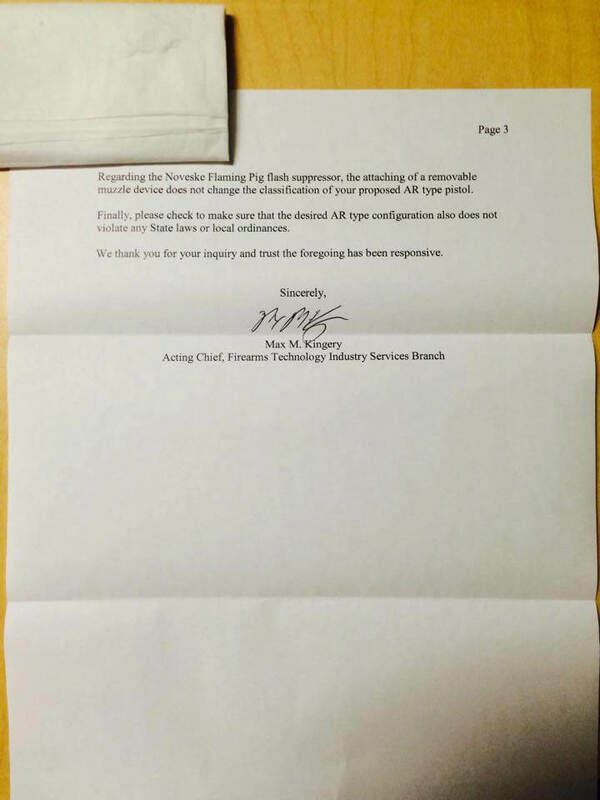 RJeff21 Shared these scanned copies via AR15.com earlier today. You can read opinions gnashing of teeth and rending of multicam clothing here. Armed Citizen Stops Potential Lethal Attack without Shooting… Should he have gotten involved?